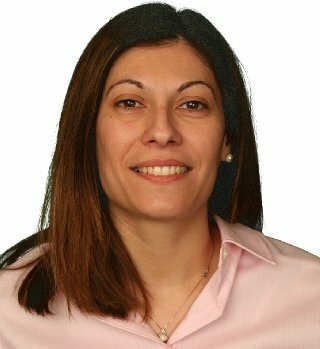 Contemporary Issues in Technology and Teacher Education welcomes new editor-in-chief, Chrystalla Mouza, associate professor of educational technology and learning sciences in the University of Delaware’s School of Education. She takes the helm of CITE Journal after founding editors Glen Bull and Lynn Bell stepped down at the end of 2016. Dr. Mouza is a long-time member of the journal’s sponsor, the Society for Information Technology and Teacher Education (SITE). She served on the SITE conference program committee from 2007-2015 and has been a reviewer for the SITE book, Research Highlights in Technology and Teacher Education since 2009. Mouza said her vision for the next phase of CITE Journal is to continue building on the foundation laid by Bull and Bell while also working to improve the visibility of the journal, advance scholarship related to the use of novel technologies in teacher education, and emphasize issues of diversity and equity in technology and teacher preparation. Mouza earned Ed.D., M.Ed, and M.A. degrees in instructional technology and media from Teachers College, Columbia University, and completed postdoctoral work at the Educational Testing Service. Her work focuses on the design and empirical study of preservice and in-service experiences that help teachers integrate technology, content, and pedagogy in ways that improve the learning opportunities available to students. Much of her work focuses on urban teachers and the ways in which they can use technology with disadvantaged students as a means to improve access to digital resources and create enriched learning environments. Recently, she has been examining pedagogical strategies that help advance teacher knowledge in relation to novel technologies such as programming tools that support students as creators of computing. Mouza’s work has been supported by the National Science Foundation, the Delaware Economic Development Office and the Delaware Department of Education. She has published widely in peer-reviewed research journals, books, and conference proceedings. The CITE Journal, established in 2000, is an open-access, peer-reviewed publication of SITE and published by AACE. It is co-sponsored by four other teacher education associations, the Association for Science Teacher Education, the Association of Mathematics Teacher Educators, the Conference on English Education, and the National Council for the Social Studies College and University Faculty Assembly. The journal serves as an interactive electronic sister publication of SITE’s Journal of Technology and Teacher Education, capable of incorporating into its articles video, sound, animated images, and simulations, as well as ongoing dialog about issues that advance the field.